* Mariell's breathtaking wholesale bridal veil has delicate silver or gold chain sewn into soft tulling with Swarovski Crystals, Seed Beads and Baby Pearls. * The highlight of this breathtaking bridal veil by Mariell is the exquisite silver chain delicately sewn into the soft mesh tulling. 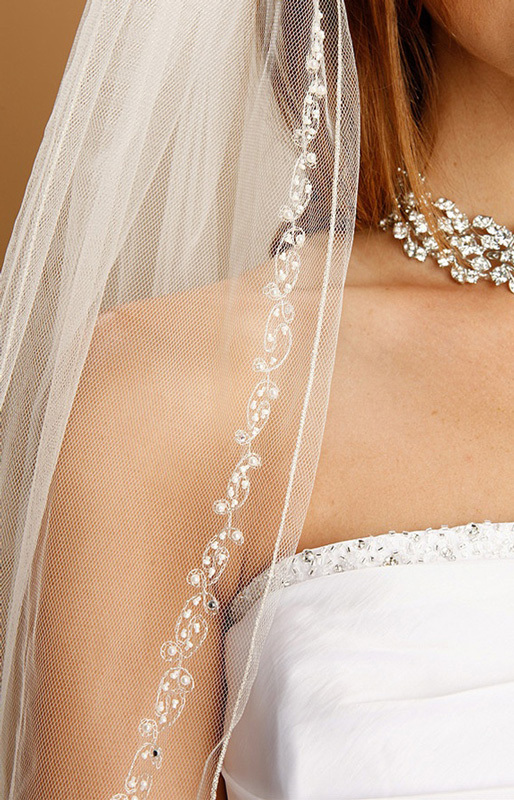 * This shimmering chain vine pattern accents the full length of the veil's edge and is adorned with brilliant Swarovski Crystals, Seed Beads & delicate Baby Pearls. 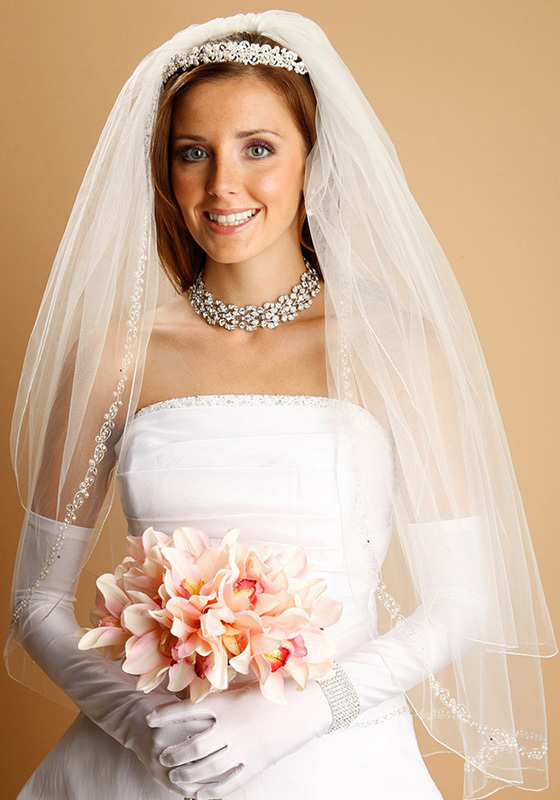 * This 2 Layer standard cut Fingertip (30"/36") veil is offered in Ivory/Silver or Ivory/Gold and includes an attached comb.